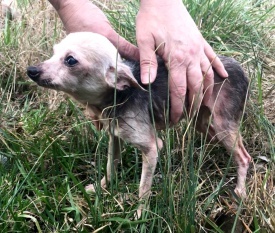 Rescued from Puppy Mill – They Need Help! 46 dogs & 12 cats were discovered living in horrible conditions at a puppy mill… nearly starving after prolonged neglect. In an emergency rescue, these innocent animals were saved! They’re now getting urgently needed care & lots of love at the Humane Educational Society Shelter. Their misery is now behind them as they take their first steps to a better life… but their care is expensive & they need help! Just $5 will help give them a second chance!